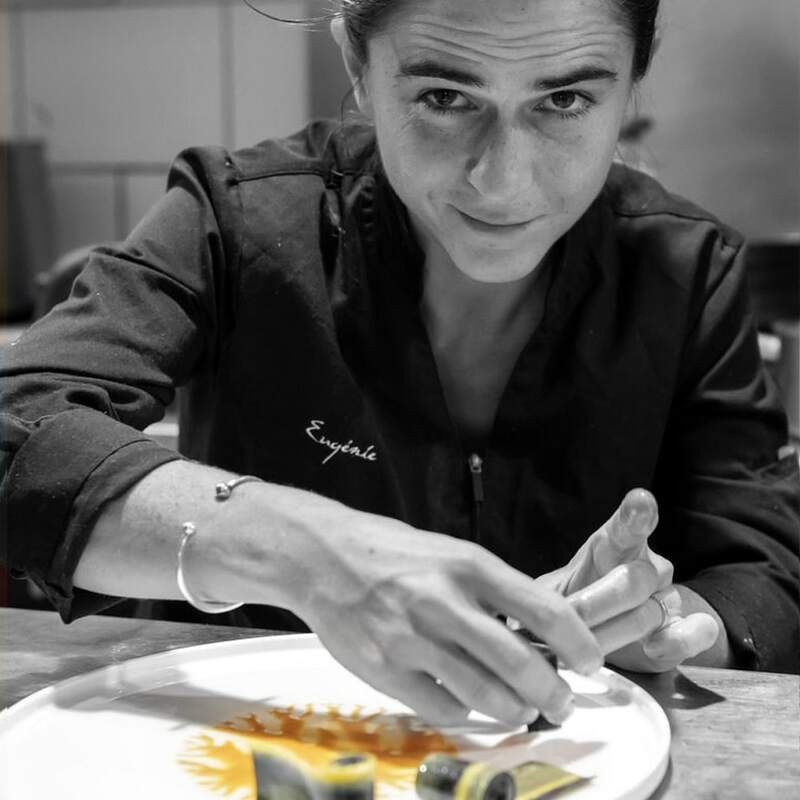 The young 34-year old from Toulon (although she is originally from Gabon, having spent her entire childhood in Africa), makes her début here as a chef, after three notable years as head manager under star-rewarded chef Yann Le Scarvarec at La Roya of Saint-Florent. “I was pursuing literary studies at the University of Toulouse when a meal by Hélène Darroze in Paris cause me to experience such intense emptions that I decided to change career” explains Eugénie. 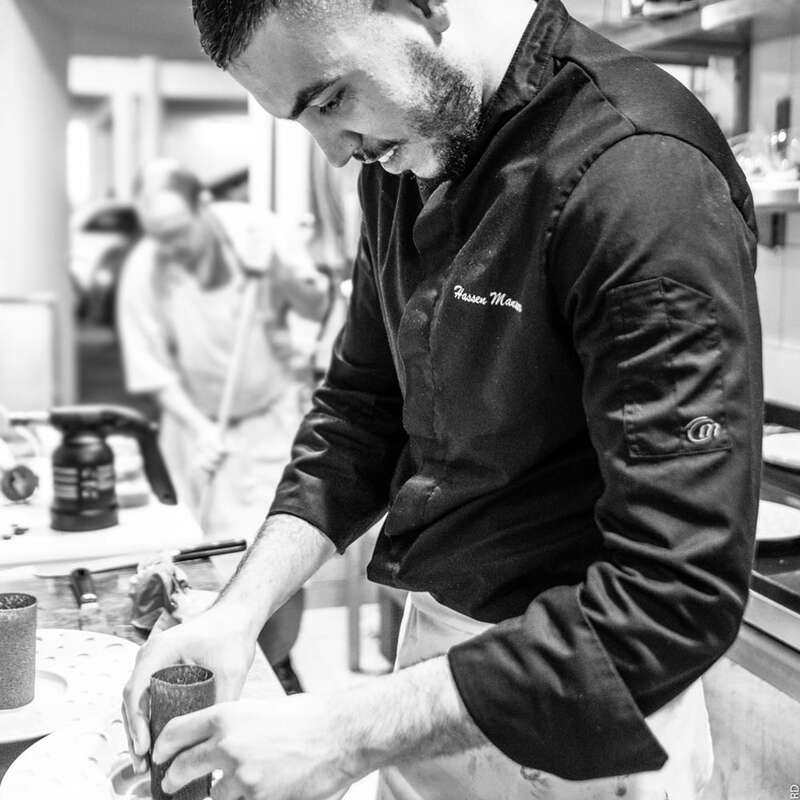 Graduating from the hotel school in Toulouse, she joined Michel Guérard at… Eugénie les Bains, as kitchen help. 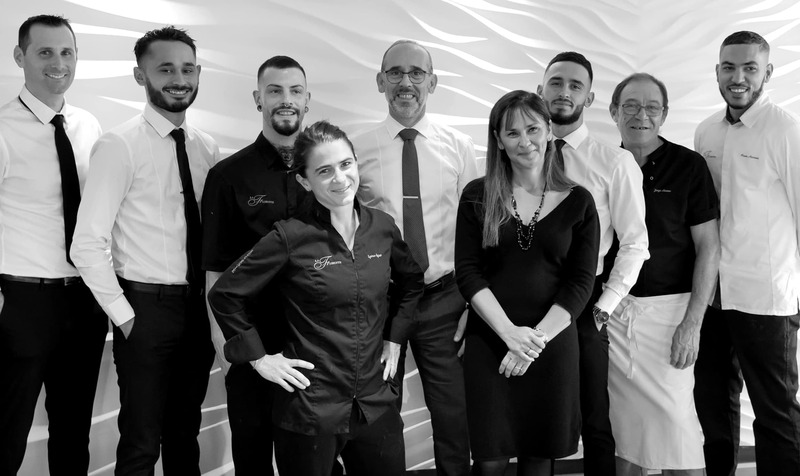 She then went on to work for the Brasserie of the Stade Toulousain under Stéphane Garcia, a restaurant for which Michel Sarran was a consultant. “One day he offered me a job as his private chef in his house in Ibiza, where I cooked for his family and friends. Working for Sarran was dream come true” she tells us. After Corsica, she meets Roger Martins who uses convincing arguments to get her to join the La Flibuste adventure. For dessert, Hassen Mansour, trained in Cannes and graduating as pastry chef at the Four Seasons Terre Blanche in the Var region, at the Môme of Dubai and at the famous Ashford Castle in Ireland, retains this audacious approach with, for example, a Belle Hélène pear with a modern twist, a delicious Finger or a Piedmont nut, revealing its flavours with a dacquoise or a mousse. Drawing on his experience at La Roya in Corsica, where he had already teamed up with Eugénie Béziat, Tony Lefrançois joined the La Flibuste team as head water. 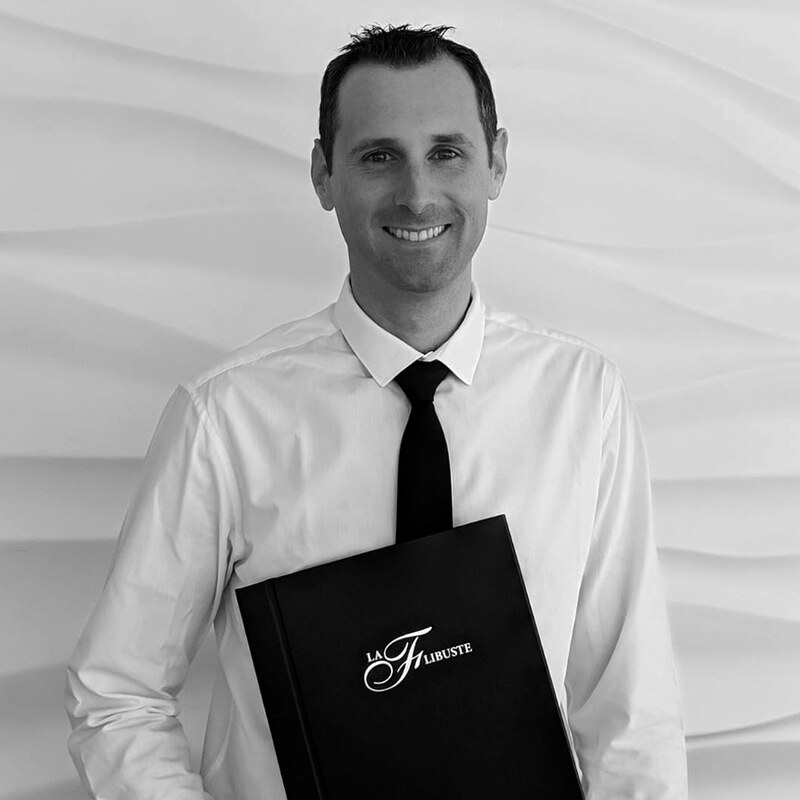 With great passion and professionalism, he shares his extensive culinary knowledge with the guests of the establishment. Roger Martins has been involved for 30 years in the commercial activities of the marina. Enthusiast, he has put all his energy into this restaurant that he has tried to move upscale over the years. 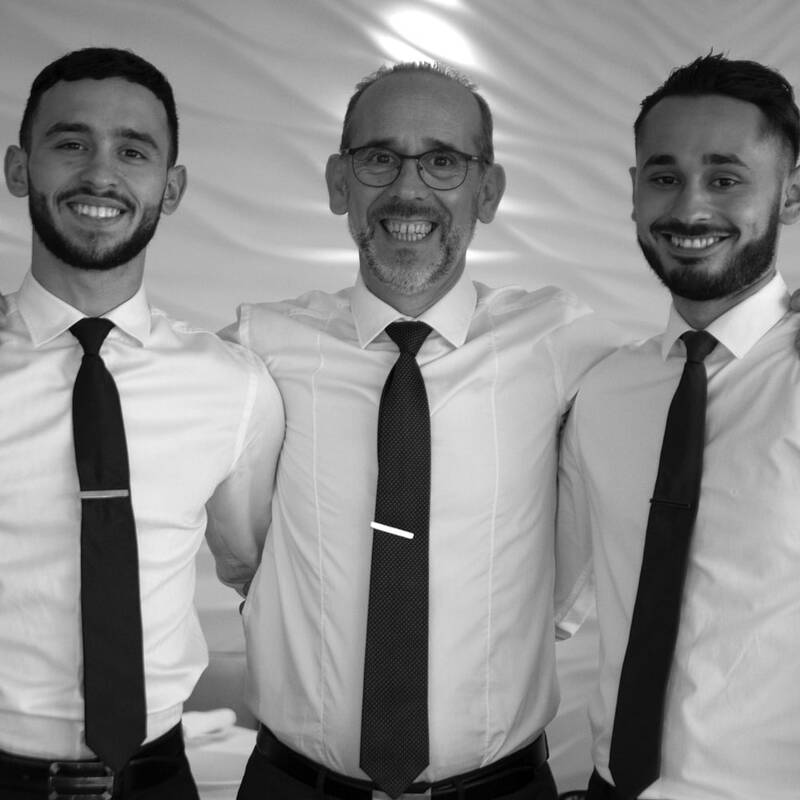 Along with his two sons, Enzo and Ryan, who work under Tony Lefraçois, Maître d’Hôtel, formerly employed by La Roya in Corsica, Roger Martins, Master Restaurateur, has brought yet more refinement to his establishment by renovating and modernising the entire dining room with furniture by Collinet.